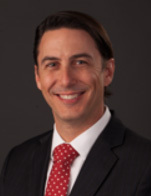 Amos Hochstein is Senior Vice President for Marketing. Prior to joining the company in May 2017, he brought extensive energy markets experience to the U.S. Government as the U.S. Special Envoy for International Energy Affairs. As Special Envoy, Amos oversaw global U.S. energy foreign policy engagement. He led efforts to develop and implement Iran Sanctions; increase Europe's energy security through diversification of natural gas resources; promote global fuel switching to natural gas, and develop stronger natural gas markets throughout Asia and South Asia. In cooperation with the Department of Defense, led U.S. efforts to diminish terrorist groups' profits from energy assets.